Politicians make mistakes. And it's fun to point them out. 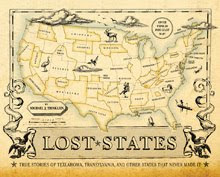 So I didn't shy away from President Obama's mention of the "57 states of America." However, if you watched the clip, it's pretty clear he simply lost his train of thought... he doesn't actually think the U.S. has 57 states. But Sarah Palin's blunder is in her book. She had plenty of opportunity to check her facts. 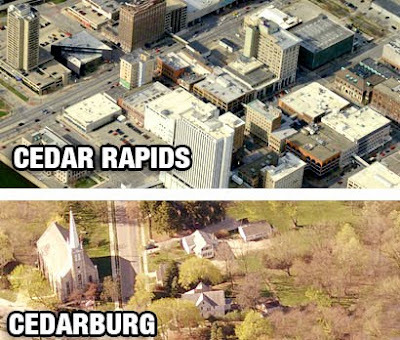 So her confusion of Cedar Rapids and Cedarburg seems worse to me. And if you think it's easy to confuse these two cities, look at the birds-eye-view above. One is an urban metropolis, the other a sleepy farm town. It's like visiting Dallas, Oregon (Yes there is one) and then writing that you were in Dallas, Texas. C'mon!